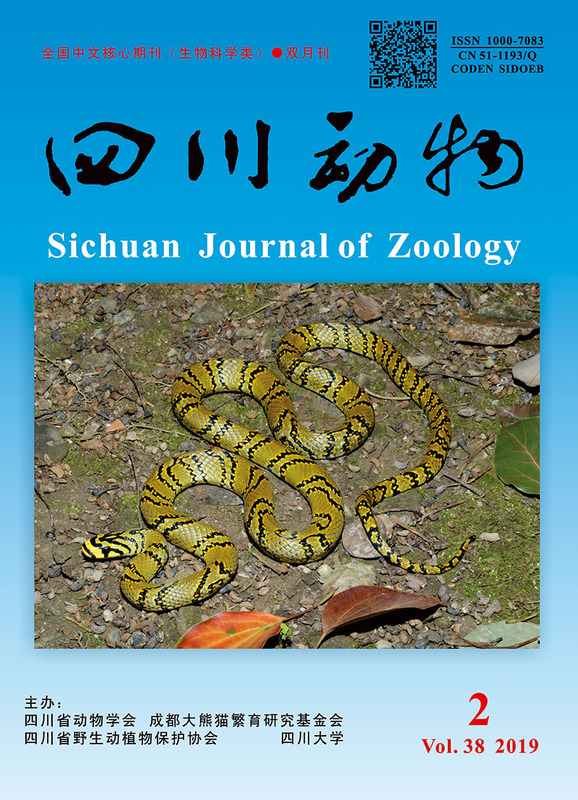 Abstract：Until the end of 2017, a total of 466 amphibian species belonging to 14 families in 3 orders have been recorded in China, and among of which, 386 anuran species are classified into 10 families. Tadpole is the larval stage of anurans, and particularly characterized by high level of morphological specialization and coupled with an ecological transformation from aquatic to terrestrial. The larval characters are important indicators of evolutionary relationship among the anurans. The current morphological description of tadpoles is mainly focused on species level, and few data on family level are commonly recognized in China. In this study, the phenotypic traits of tadpoles from 9 families (Bombinatoridae, Megophryidae, Bufonidae, Hylidae, Ranidae, Dicroglossidae, Occidozygidae, Rhacophoridae, and Microhylidae) except Ceratobatrachidae are illustrated based on 8 morphological characters. Some larval characters are briefly summarized throughout the large taxonomic groups, and expounded the significance of adaptation in appearance and in habit, respectively. 费梁, 胡淑琴, 黄永昭. 1990. 中国两栖动物检索[M]. 重庆: 科学技术文献出版社重庆分社. 费梁, 胡淑琴, 叶昌媛, 等. 2009a. 中国动物志 两栖纲 (中卷) 无尾目[M]. 北京: 科学出版社. 费梁, 胡淑琴, 叶昌媛, 等. 2009b. 中国动物志 两栖纲 (下卷) 无尾目 蛙科[M]. 北京: 科学出版社. 费梁, 叶昌媛, 江建平. 2012. 中国两栖动物及其分布彩色图鉴[M]. 成都: 四川科学技术出版社. 黄永昭, 费梁, 叶昌媛. 1991. 中国锄足蟾科蝌蚪口内部结构的研究[J]. 高原生物学集刊, 10: 71-99. 李成, 董兆雄, 王跃招. 2010. 角蟾科三亚科蝌蚪角质颌的显微结构比较(两栖纲, 无尾目)[J]. 动物学研究, 31(5): 550-554. 李成, 江建平. 2010. 蝌蚪的形态多样性及其生物学意义[J]. 两栖爬行动物学研究, 12: 114-127. 刘承钊, 胡淑琴. 1959. 云南省西双版纳两栖类初步调查报告[J]. 动物学报, 11(4): 509-529, 图版5. 刘承钊, 胡淑琴. 1961. 中国无尾两栖类[M]. 北京: 科学出版社. 王剀, 陈宏满, 任金龙. 2018. 2017中国两栖爬行动物新种、新纪录及分类变动[R/OL].(2018-01-01)[2018-05-30]. http://www.amphibiachina.org/news/55-56. Altig R, Johnston GF. 1989. Guilds of anuran larvae: relationships among development modes, morphologies, and habitats[J]. Herpetological Monographs, 3: 81-109. Altig R. 1970. A key to the tadpoles of the continental United States and Canada[J]. Herpetologica, 26(2): 180-207. Bonacci A, Brunelli E, Sperone E, et al. 2008. The oral apparatus of tadpoles of Rana dalmatina, Bombina variegata, Bufo bufo, and Bufo viridis (Anura)[J]. Zoologischer Anzeiger, 247(1): 47-54. Dubois A. 2010. Describing new species[J].Trprobanica, 2(1): 6-24. Gosner KL. 1960. A simplified table for staging anuran embryos and larvae with notes on identification[J]. Herpetologica, 16: 183-190. Gotte SW, Reynolds RP. 1997. Observations on the effects of alcohol vs. formalin storage of amphibian larvae[J]. https://www.pwrc.usgs.gov/resshow/reynld1rs/amphlarv.htm. Grosjean S, Bordoloi S, Chuaynkern Y, et al. 2015. When young are more conspicuous than adults: a new ranid species (Anura: Ranidae) revealed by its tadpole[J]. Zootaxa, 4058(4): 471-498. Hampton SH, Volpe EP. 1963. Development and interpopulation variability of the mouthpart of Scaphiopus holbrooki[J]. The American Midland Naturalist, 70(2): 319-328. Inger RF. 1985. Tadpoles of the forested regions of Borneo[M]. Fieldiana, 26(1362): 1-89. McDiarmid RW, Altig R. 1999. Tadpole: the biology of anuran larvae[M]. Chicago and London: The University of Chicago Press. Ortan GL. 1953. The systematics of vertebrate larvae[J]. Systematic Zoology, 2: 63-75. Orton GL. 1957. The bearing of larval evolution on some problems in frog classification[J]. Systematic Zoology, 6: 79-86. Starrett PH. 1973. Evolutionary patterns in larval morphology[M]//Vial JL. Evolutionary biology of the anurans. Columbia: University of Missouri Press: 251-271. Thabah CM, Devi LM, Hooroo RNK, et al. 2014. Microscopic studies on the effects of pH on the oral morphology of Hyla annectans tadpoles from north east India[J]. Journal of Advanced Microscopy Research, 9(4): 1-6. Yan F, Jiang K, Jin JQ, et al. 2016. The Australasian frog family Ceratobatrachidae in China, Myanmar and Thailand: discovery of a new Himalayan forest frog clade[J]. Zoological Research, 37(1): 7-14.